An $8.3 million verdict as handed down in the first of many trials to come regarding the use of a particular type of metal on metal hip implant in hip replacement surgery. The jury in In re: Loren Kransky and Sheryl Kransky v. DePuy, Inc., et al. (BC456086, Los Angeles Superior Court) deliberated for six days following a five-week trial before returning the large verdict in the plaintiff’s favor. Litigation involving defective medical devices, such as the hip replacement in this case, is a major focus area of the legal practice at Magaña Cathcart & McCarthy. This case was the first of many to be concluded against Johnson & Johnson, whose DePuy Orthopedics unit is responsible for the Articular Surface Replacement (ASR), an artificial metal hip that was recalled after nearly 100,000 units had already been sold. Johnson & Johnson is currently facing over 10,000 lawsuits across the country, including many cases in California. Johnson & Johnson has not admitted that the ASR contains a design defect. The stated reason for the recall was a “higher than expected” failure rate. When the device fails, the patient must undergo yet another surgery; these revision surgeries are often risky and fraught with complications from infection to nerve damage, along with a painful and difficult recovery period, all of which should have been unnecessary had the device performed properly. Perhaps even more alarming, however, are the many additional problems which have surfaced and which appear to be due to the hip’s metal on metal design. Doctors have reported evidence of metal debris shedding off of the device and into the patients’ tissues and bloodstream. This shedding of debris has caused pain, swelling and the appearance of pseudo tumors. Life-threatening blood poisoning and toxicity are also possible if the dangerous condition is not quickly resolved. A particularly alarming fact is the use of cobalt and chromium in these products and the potential for toxicity or blood poisoning. Due to the many thousands of cases which have been filed and the attempts to consolidate these cases at both the federal and state levels, it is imperative that you speak to an attorney sooner rather than later. An attorney experienced in defective medical device litigation can help you evaluate your medical and legal situation and advise you on important decisions. If you have received a hip replacement, in particular a DePuy ASR XL Acetabular System or DePuy ASR Hip Resurfacing System after July 2003, visit a doctor and consult an experienced attorney to evaluate your medical and legal needs and options. 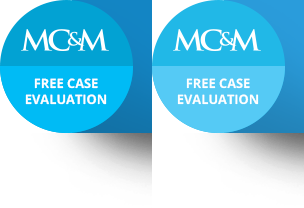 Magaña Cathcart & McCarthy offers an initial consultation with no cost or obligation.